Greetings friends and Fellow Crafters. 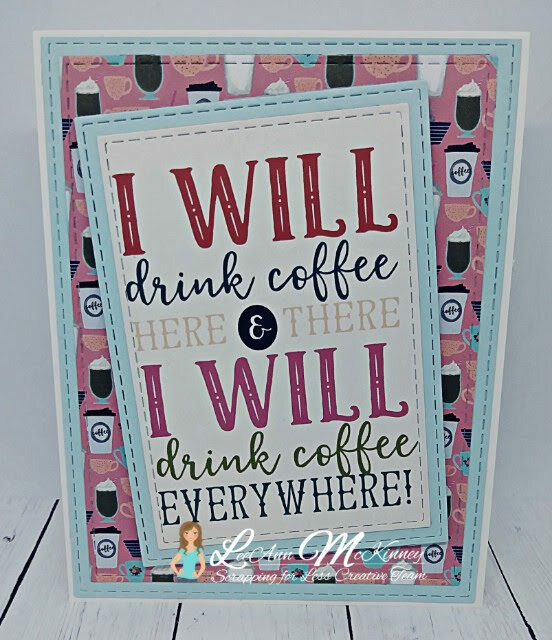 LeeAnn here with another sneak peek for the Scrapping For Less January Flavor of the Month Kit. For today's project I used another cut apart from one of the collections as well as the flip side of the same paper. I am so in love with this paper collection that I just can't contain it.